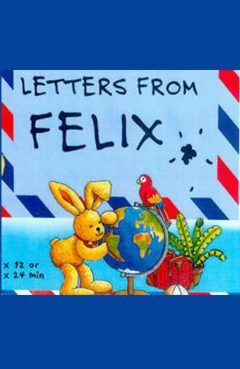 Release Message: Felix (Patrick Flecken) and a baby mammoth named Woolly and land in the Middle Ages near a fort where a squire is wielding a wooden sword. Description: Felix and a baby mammoth named ÒWoollyÓ land in the Middle Ages near a fort where a squire is wielding a wooden sword. A nearby mule, amused by the looks of the baby mammoth, joins our friends along with the squire. The four then make their way to the King's castle. On the way, they will discover that the squire is in fact a girl named Matilda. On top of that, Matilida is also the King's granddaughter! But she would much rather be a heroic knight than a princess. Unfortunately, the knight Karl is determined to marry Matilda by way of a duel. Thus, a strong warrior will be needed to defeat Karl and prevent the marriage. Felix is chosen as Karl's rival, though he really isn't up to the taskÉ The big day soon arrives, and the audience senses an oncoming catastrophe. Matilda then shows up in her father's armour along with her mule. She forces Karl to the ground, but injures her leg in the process. Karl shows no mercy, and is about to defeat his opponent, when Woolly then appears, flinging him out of sight. Matilda's marriage is in the end aborted, and Felix and Woolly will be knighted for their bravery.